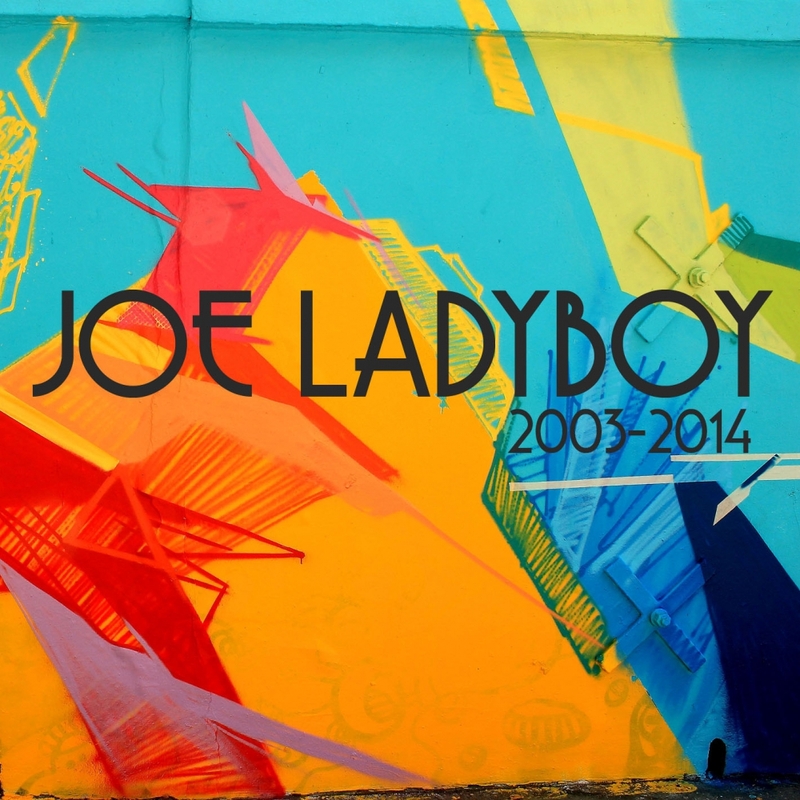 The artwork for '2003 - 2014' by Joe Ladyboy released on Valentine Records (Catalogue No: Valentine087). Compilation of unreleased tracks, cover versions, collaborations outtakes and rarities recorded between 2003 to 2014. Collaborators include Mark Corrin, Avital Raz, Edward Bass, Sarah Bradley, Paul Millsopp, Charlie Blake, Lance Winter and Poppycock. Covers include The Byrds, Bonnie Prince Billy, Bob Dylan, Nirvana, New Order, Liars, Baader Meinhof, My Bloody Valentine, Steve Reich/Kid Spatula, The Fall and Underworld. This was the fourth and final Joe Ladyboy LP.